Victor G. Rodwin Ph.D., M.P.H. Award Year: 1999 This project undertakes a comparative analysis of public health infrastructure, health care delivery systems, and health in the four principal mega-cities of the industrially advanced world. Dr. Rodwin examines how: the use of the city as a unit of analysis can advance the comparative study of health care systems, inter-city comparisons of health outcomes can provide a better understanding of similarities and differences, and intra-city comparisons of health information can be used to help set health priorities and assess public health programs. A conceptual framework is developed and indicators selected for comparing public health infrastructure, health systems, and health in New York, London, Paris, and Tokyo. Based on the results of his review of the literature, data analyses, and interviews with local officials and experts, Dr. Rodwin compares health outcomes and system performance and identifies best practices and other opportunities for cross-national learning that have the potential for improving U.S. health policy. Victor G. Rodwin, professor of health policy and management at NYU's Robert F. Wagner School of Public Service and co-director (with Michael K. Gusmano) of the World Cities Project. He teaches courses on community health and medical care, comparative analysis of health care systems and international perspectives on health care reform. Professor Rodwins' RWJF Investigator Award on "Health and Megacities: A Neglected Dimension of U.S. Health Policy." led to the establishment of the World Cities Project (WCP) -- a collaborative venture among the Wagner School, NYU, the Mailman School, Columbia University, and the International Longevity Center-USA, which examines the impact of population aging and longevity on the health care systems in New York, London, Paris, and Tokyo. 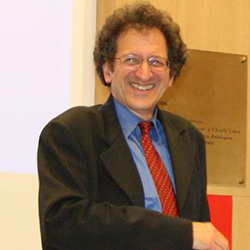 Professor Rodwin is the author of numerous articles and books, including The Health Planning Predicament: France, Quebec, England, and the United States (University of California Press, 1984); The End of an Illusion: The Future of Health Policy in Western Industrialized Nations (with J. de Kervasdou? and J. Kimberly, University of California Press, 1984); Public Hospitals in New York and Paris (with C. Brecher, D. Jolly, and R. Baxter), New York University Press, 1992); Japan's Universal and Affordable Health Care: Lessons for the U.S.? (Japan Society, 1994); Growing Older in Four World Cities: New York, London, Paris and Tokyo (edited with Michael K. Gusmano), Vanderbilt University Press 2006; and Universal Health Insurance in France: How Sustainable? Essays on the French Health Care System (Washington DC, Embassy of France, 2006). Recent journal articles have appeared in Health Affairs, New England Journal of Medicine, American Journal of Public Health, Journal of Urban Health, Health Economics Policy and Law. Before launching WCP, Professor Rodwin directed the Wagner School's International Initiative (1992 to 1998), and its Advanced Management Program for Clinicians (1987-1992). From 1983 to 1985 he was assistant professor of health policy at the University of California-San Francisco. Professor Rodwin has been a member of the Academy for Social Insurance since 1998. He reviews articles for leading journals in the field on a regular basis and has consulted with the French National Health Insurance Fund, the World Bank, the UN, the and other international organizations. Professor Rodwin earned his Ph.D. in city and regional planning, and his M.P.H. in public health at the University of California, Berkeley. Rodwin, V.G. Health and Disease in Global Cities: A Neglected Dimension of National Health Policy, In Networked Disease: Emerging Infections in the Global City, eds. Ali, S.H., Keil, R. Wiley-Blackwell, 27-48, 2008. Gusmano, M.K., Rodwin, V.G. Health Services Research and the City, In Handbook of Urban Health, eds. Vlahov, D., Galea, S. Netherlands: Kluwer Academic Publishers, 2005. Gusmano, M.K., Rodwin, V.G., Weisz, D., Das, D. A New Approach to the Comparative Analysis of Health Systems: Invasive Treatment for Heart Disease in the US, France, and Their Two World Cities. Health Economics, Policy, and Law, 2007, 2(Part 1): 73-92. Cadot, E., Rodwin, V.G., Spira, A. In the Heat of the Summer: Lessons from the Heat Waves in Paris. J of Urban Health, 2007. Gusmano, M.K., Rodwin, V.G., Weisz, D. A New Way to Compare Health Systems: Avoidable Hospital Conditions in Manhattan and Paris. Health Affairs, 2006, 25(2): 510-20. Rodwin, V.G., Neuberg, L.G. Infant Mortality and Income in Four World Cities: New York, London, Paris, and Tokyo. AJPH, 2005, 95(1): 86-90. Weisz, D., Gusmano, M.K., Rodwin, V.G. Gender and the Treatment of Heart Disease in Older Persons in the U.S., France and England: A Comparative Population-Based View of a Clinical Phenomenon. Gender Medicine, 2004, 1(1): 29-40. Rodwin, V.G. The Health Care System under French National Health Insurance: Lessons for Health Reform in the U.S. AJPH, 2003, 93(1): 31-7. Neuberg, L.G., Rodwin, V.G. Infant Mortality Rates in Four Cities: London, Manhattan, Paris and Tokyo. Indicators - The J of Social Health, Winter 2002-03, 2(1): 15-38. Rodwin, V.G., Gusmano, M.K. The World Cities Project: Rationale, Organization, and Design for Comparison of Megacity Health Systems. J of Urban Health, 2002, 79(4): 445-63. Gusmano, M.K., Rodwin, V.G., Weisz, D. Health Care in World Cities: New York, Paris, and London. Baltimore: Johns Hopkins University Press, 2010. Rodwin, V., Gusmano, M. (eds.). Growing Older in World Cities: New York, London, Paris, and Tokyo. Vanderbilt University Press, 2006.